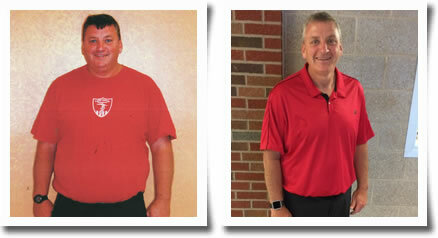 Our maintenance programs started a little over a year ago with a request from our successful weight loss patients. These patients wanted a way to stay in touch with our practice that would include follow up weight ins, provider visits and maintenance group classes. We thought it was a great idea and our maintenance programs have taken off and they are now one of our most successful offerings. Six Maintenance or Group meetings per year. Nutrition allowance of $25 in food product during the year. Twelve practice visits a year alternating between a provider visit and a nurse visit. Six Maintenance or Group Meetings. These programs have been a great addition to our practice and have been especially helpful to our patients! We are able to stay in touch with our patients and assist when necessary if they need any additional support during maintenance. A win-win for everybody! If you would like more information about our Maintenance Programs please contact us. Our maintenance programs are a great resource for patients who have had bariatric surgery and are struggling to maintain their weight loss. Having surgery is not a golden ticket- if you do not manage your eating behaviors and work on refining your skills, weight regain can occur. In addition, the farther out you are from your surgery, the more likely it is that your pre-surgical hunger will return. Our maintenance programs provide a place to increase your knowledge base on nutrition, eating behaviors and exercise. Equally important, we provide medical management to help conquer post operative hunger and manage difficult to control eating behaviors in a safe and effective manner. As always, we will provide you with a supportive, comfortable environment that will allow you to succeed! I have suffered with obesity all of my life. I love food, I love to cook and it all was tolerable until I had a pulmonary embolism. My wonderful cardiologist told me I needed to try to lose weight. Easier said then done. I was not successful! Then a helpful nurse practitioner gave me some life-changing advice. Check out Dr.Scinta and Medical Weight Loss of NY. I did and never looked back! I have lost 100+ pounds. I never was hungry, I continued to cook meals for my husband and I ate my meals with him. I learned healthy foods and portion control. How to shop for healthier foods and live a better and full life. Believe me not everyday was super easy, but the encouragement of my friends, husband and the wonderful weight-loss staff always kept me positive. I was very self driven and determined to succeed. I have succeeded and I am succeeding, I work at it every day. I feel better, my health is improved greatly and I continue to do all of the things I love to do. Oh, by the way I am 68 almost 69 so it is never to late to make a change for the better in your life! Even though I had lost 50+ pounds and met my target goal, I hesitated switching over to the Maintenance Program for over a year due to my ongoing bumps & struggles with “staying the course”. I questioned whether I would have the discipline to utilize all the tools offered in Dr. Scinta’s Medical Weight Management Program during Maintenance (i.e., logging in meals,using partial meal replacements, keeping up my level of exercise…) to maintain my weight loss. I find that I continue to use the tools during Maintenance that are essential to control my eating, make smart choices, & maintain an overall healthy lifestyle. I also meet in person with a weight loss professional on a monthly basis & have the ability to reach out online at any time I may be struggling. Continued use of meal replacements really helps me counter those days when I may have made some poor food choices. I really try to consistently log in because that not only tracks what I’m eating but it helps me keep my head in the game. Exercise has also been key to my ongoing success throughout the entire process. Maintenance is not about getting to a finish line. Even though I periodically “binge” and allow myself more liberties when I go away on vacations, I quickly reset myself with the partial meal replacements & the other tools of Dr. Scinta’s program. What I’ve learned during my first year on Maintenance is that this is how the Program best works for me. My food challenges have always been & will continue to be a lifelong issue for me. And now Wendy Scinta’s Maintenance Program will be here along with me to effectively deal with them. I chuckled to myself a little and asked, “really? you want to feature me?” I feel like I am not the ideal poster child to be featured regarding the Maintenance Program but then again, I am sure I don’t feel alone on that thought. If you have been on maintenance, you know what I mean. I started maintenance in July of 2016 and the road I travel now is just as bumpy as the road I traveled on to get there. I have all the struggles but somewhere, somehow, I keep chugging down that road and find ways to be successful. What we are taught by D. Scinta and her excellent staff, is essential to success. I believe her when she says, “it’s a science.” More times than not, I struggle to log, get to a meeting or get outside for a stroll, but in the end…I will NOT quit. Setbacks? Of course there are. But I get back on the right side of the road and continue forward down it. Trying to make the right choices, drinking water, drinking water, drinking more water and most importantly, not giving up. I guess that’s the competitor in me. I refuse to let that old part of myself be on top again because I love what I have accomplished. I turned 50 last year too, so at this point in life, I like how I feel, I like what I am physically capable of doing and I like how I look. AND, I am healthy! Reaching my goal did not mean that I was “done.” I will never be “done.” There are more things to see around the next curve in my road. It’s important for me to stop in for a weight check every week, sit with Martha and other folks on a Saturday morning, stock up on shakes and bars for those healthy snacks, poke my head in Sam’s office to say “hi” and visit with Doc or Heidi every few weeks. I cannot be successful without their help…all of them. I have made this commitment and I will stick to it! Sorry, MWL of NY–you are stuck with me! I have been on weight management for about six years after losing 50 pounds. Here are some tips that have worked for me! The biggest issue I feel is that once you are at your desired weight, you CANNOT go back to old habits of unhealthy eating! This will only bring those unwanted pounds back… I have also found that in keeping a routine in my eating for breakfast and lunch really helps. I will have oatmeal or a protein shake for breakfast and yogurt with fruit for lunch with some added granola! In between meals, a fruit or something healthy like a granola bar with protein keeps me balanced. If you go for long periods of time without eating or skip a meal, you tend to get soooo hungry you will eat whatever you see and probably overeat, which defeats the whole purpose!! At dinner I fill up on more vegetables than I ever used to with the main meat. Lots of water is another important piece. This one I continue to work on. Being mindful of your weight on a regular basis will let you know how you are doing and if you need to make some changes. Of course exercise is a must!! Whatever you are comfortable doing, try to do it every day if possible! I have been on the Maintenance Program for 8 months now. I’m not a poster child for maintenance, but I’m sure others feel the same. I’ve maintained my weight loss for over a year now. Transitioning to less frequent visits at the office has been tough for me, but it’s working. Having an office visit every month and attending maintenance meetings helps keep me accountable. I do well during the day, but I struggle with controlling my cravings sometimes during dinner, nighttime and at family events, but I understand that this is part of the journey. I’m looking forward to better weather – to getting more active and spending less time indoors and more time outside- living. I love what I have accomplished through the program and I want to lose even more and hopefully inspire others to do the same!